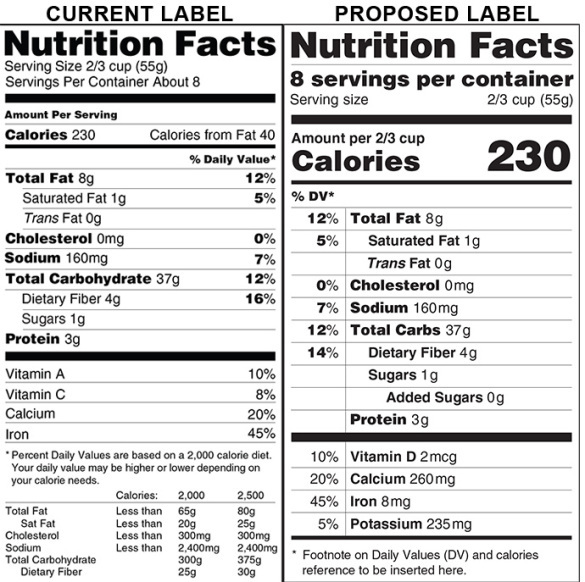 The National Kidney Foundation is involved with the FDA on some proposed changes to nutrition labels that will benefit kidney patients. Read about it by CLICKING HERE. As it stands, there’s a great deal of information on a nutrition label that applies to dialysis patients but Potassium and Phosphorus are not specifically identified and measured. Instead we have to look at the ingredients and often make our best guess. In that regard, here’s a PDF from the National Kidney Disease Education Program with advice on how to read a nutrition label for patients with kidney disease. CLICK HERE to see it. I found it very informative and helpful. And somewhere as I was wandering through various links, I came across this article about “Spicing up Dialysis Diets” and figured I’d pass that along to you. It has a listing of High Potassium and High Phosphorus foods that’s handy to know. Also, a tasty looking recipe for Crunchy Lemon Herbed Chicken. ALSO, The American Kidney Fund has a new blog. CLICK HERE to read it. I think it’s great! Finally for the Smart Phone set, here’s an article about an APP that may help in tracking nutrients and assist in your dietary needs. CLICK HERE to read it. I haven’t tried it yet so if you do, let us know how it works for you. This entry was posted in dialysis, diet, dietary restictions, fluid control, kidney, National Kidney Foundation. NKF, New Patient and tagged CKD, control, dialysis, diet, dietitian, education, ESRD, kidney, nutrition. Bookmark the permalink.